Last December I read two Maigret stories back to back. In fact, my library has the complete Simenon novels (not only Maigret) in a dozen volumes with Bible-type thin paper, and I could not stop after only one, it was so good that I immediately started another! Maigret books never disappoint. Simenon writing is very simple and straightforward, but he manages to convey atmosphere, characters and situations with just a few words. But because he makes the action so direct, I felt as if I was travelling back in time, towards 1960s Paris, an era so close and yet so different from today! Maigret investigations are always set in a very precise geography. The first one, Maigret and the ghost, takes place on the Avenue Junot, on the northern side of Montmartre, where a police inspector has been shot. 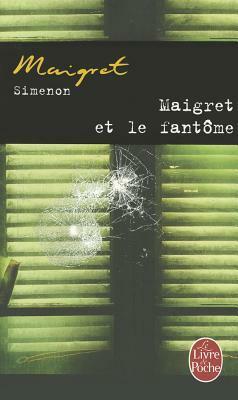 This sorry man, Inspector Lognon (a ridiculous name), a pitiable loser by all accounts, saddled by an acrimonious wife, is the subject of mockery across the police force, but Maigret likes him, and even Mrs. Maigret takes upon herself to go help his ailing wife while he’s in hospital, even if she is clearly insufferable. What a surprise when policemen learn that Lognon had been visiting a young single woman who lived on this avenue (and who has since disappeared). Lognon with a mistress, who would believe it? But of course Maigret digs deeper to learn who is this woman (who is rather virtuous by all accounts) and what Lognon was doing at her place. Most of the action takes place in the 18th district, and you can check on Streetview how it still looks to this day. The second mystery is even more fascinating: when a well-connected, wealthy young girl accuses Maigret out of the blue of having raped her, Maigret is suspended, and his team forbidden to investigate. 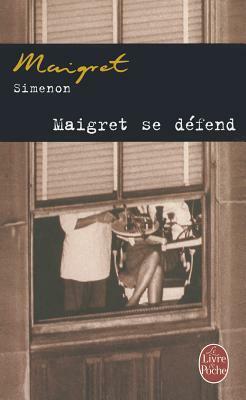 Maigret has indeed been called in the middle of the night to help this girl he didn’t know, but Maigret suspects that she is not the one to have set him up. Some malevolent criminal is at work, but why and who? Maigret is in turn angry, bitter, shocked, slightly depressed, and it was a nice change of pace from his usual placid self. I don’t want to spoil anything, but I enjoyed the part of chance that comes into the explanation of it all. You won’t find any big evil mastermind behind this, as Simenon never gets into paranoia and his criminals are all slightly mediocre, even when they are intelligent. As I’m writing this long overdue post, all the good things about these books come back to me and I really want to read a third or even a fourth Maigret!